The weather has turned and now feels very autumnal. There is a strong wind blowing the remainder of the leaves off the trees which is a shame as the autumn colours have been glorious this year. I don’t normally like the autumn as it just heralds the end of summer and the winter to come (did I ever mention I’m a hot house flower?) but this year the trees have been spectacular. 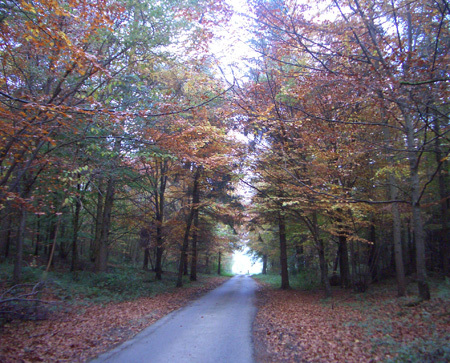 The road I drive each morning is lined with the most stunning trees which are every shade of red through orange to yellow and when the sun shines on them they look as if they are on fire. Unfortunately it is a very busy road so it would be difficult to stop and photograph them, so I took this on my way to play tennis the other day. 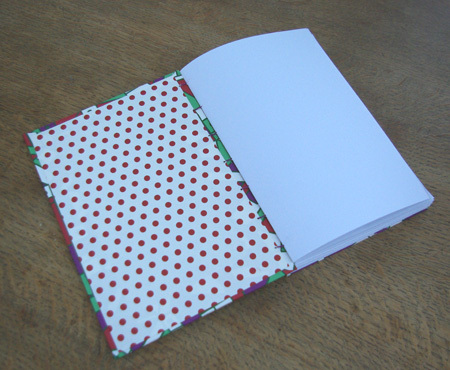 Anyhow, I really like this type of binding, though I see that it’s quite painful to the one doing the binding. I love Autumn, or at least the idea of Autumn and the leaves. It seems as though our Autumn (Pennsylvania) has gone from Summer to Winter (25 degrees this morning), barely pausing at Autumn. SW – I had forgotten about Blog Surfer – I don’t use it but will do so in future! Glad you like the book, the red spots inside aren’t blood…. 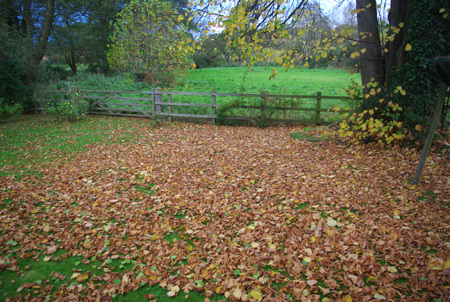 Jon – It is idyllic – unless you are the one who has to pick the leaves off the lawn! Debbie – I have scoured your blog looking for a clue to where you live because if it is still in the 90’s I’m moving in with you! I’m glad to see I’m not the only one still searching for their “talent” in life. As a suggestion, there is a site called etsy.com that I love for buying “crafty” items. It’s a great site because it really has amassed a huge group of quality artists together. Hi there! Glad to read you are back blogging! It’s funny you should mention Etsy, I was checking it out only yesterday! 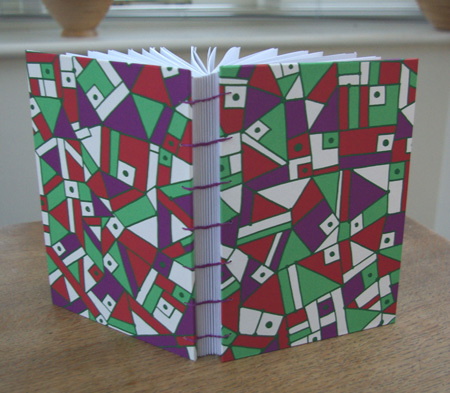 You are right, they do sell lots of wonderful handmade crafts – including books. i hate curved needles too. i just end up using regular needles and they are fine by me. i really like the paper on this, very different from your usual posts. It is a fun paper, I got it in the US. I am very glad to hear it’s not just me who struggles with curved needles! I am going to check out etsy. Even if I just put a few books on there to see how it goes…. oooo wow the book is positively electric Diane!!!!!! Love the colours and shapes……..very neo geo…..
Have you never painted landscapes? Is it a different skill set or do you just prefer doing portraits? Cool leaves. 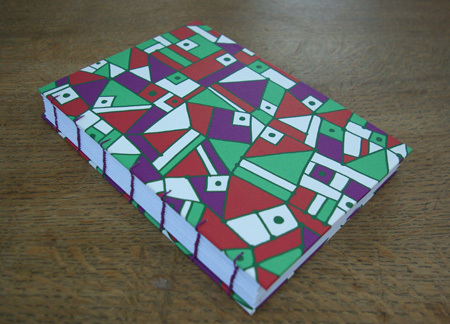 As for that book cover…Picasso? Ha! Gardener has just been and blown all the leaves into the river – saves picking them up I guess! I thought Miro or Klee…. Oh yes! I remember you posting photographs you were going to use as inspiration. That should be a beautiful landscape Kim, I’m dying to see it!